PIDC has always been inspired by the innovation and determination of small business owners, and for over 50 years it has been in the business of driving business growth. From small businesses, to non-profits, to manufacturing and corporate and commercial development; it’s been a priority to provide the necessary resources to support a businesses’ growth. For one of its new clients, Nicole Cashman of Cashman & Associates, purchasing a larger space was imperative to its growth, and PIDC was able to assist Cashman with that goal. PIDC was excited to have Nicole take a few moments out of her busy schedule to share a bit about her experience here. 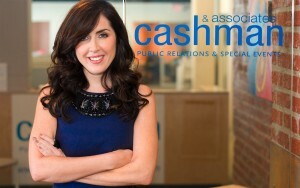 Nicole– Cashman & Associates is a full-service agency specializing in strategic communications, special events and brand management with a highly creative sense and understanding of marketing. With offices in Philadelphia and New York, my team of 13 full-time employees gain national attention and acclaim for our clients utilizing key marketing tactics including public relations, special events, brand management, influencer engagement, social media, community relations and graphic design. Our clients span a variety of categories including tourism and hospitality, fashion, beauty and retail, consumer goods and technology, sports and entertainment, nonprofit, public affairs and real estate. Who are some of the clients your company has worked with? Nicole– Over the past 14 years in business, Cashman & Associates’, has had the distinct pleasure of representing some of the nations (and Philadelphia’s) most respected and iconic brands. We have had the fortune of collaborating with some of the greatest creative minds out there, including STARR Restaurants, Kimpton Hotels & Restaurants, the City of Philadelphia’s Mural Arts Program, Mitchell & Ness, Comcast, Scannapieco Development Corporation, Qatar Airways, Visit Philadelphia, Kiehl’s and many more. Nicole– I never set out to be an entrepreneur, it just kind of happened. I always had corporate jobs that offered a great deal of autonomy and independence so when I found myself in the position to do it on my own, I was prepared. Now I cannot imagine my life any other way. It’s a ton of pressure, but the rewards far outweigh the challenges. How long have you been a PIDC client? What prompted you to contact PIDC for help? Nicole– I always heard about business’ growing with the help of PIDC and the fantastic programs the organization offers but I never thought I would qualify. A colleague, Ivy Olesh, whom I had worked with over the years recently joined PIDC and recommended that I explore the idea a bit further, which resulted in an informational meeting where I learned all about the many PIDC programs. Within a few months, an opportunity arose for me to purchase an office space that would allow for my business to grow, so I reached out. I could have never done it without PIDC. Nicole– I didn’t know much. I always thought it was just for the “big guys.” I never dreamed that they would be able to help me, a small independent business owner, the way they have and in such a short time. Nicole– After 14 years of renting, PIDC allowed me the ability to purchase my own office space, creating equity in my business and allowing me to grow my employee base by nearly 50%. We had completely outgrown our space in Northern Liberties- I even had people sitting on folding chairs at 6 ft tables. Now we have a gorgeous, efficient and professional space that not only accommodates my existing staff, but gives us room to grow. Why did you start your business in Philadelphia? Nicole– After being recruited and moving back to Philadelphia, from NYC, I found myself in a high profile corporate position in retail, where I remained for several years. After a not-so-successful venture with a partner, I was disillusioned and contemplated moving back to NYC to continue my career. I sought advice and council from Governor Edward G. Rendell. He encouraged me to stay in Philly and start my own firm. He reminded me that Philly was on the rise and that talent needed to stay in the region. I took his advice and almost 15 years later, I have established a strong and growing base here in the City. I am forever grateful for his words of advice and encouragement. I also appreciate all those who were my first clients, Joan Pileggi, Larry Cohen, Barry Gutin and Stephen Starr who believed in me, they are all pioneers in Philadelphia and believe in the city, thus reinforcing Philadelphia was the place to stay and start Cashman & Associates. 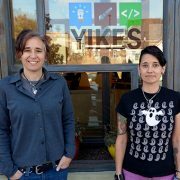 Nicole– I think Philly has a vibrant and diverse entrepreneur scene. The talent here creates a vibrant undercurrent of creativity that pulses through the City and becomes almost infectious, it would be great if more collaborative initiatives stemmed from that and we could tap into that in a bigger way. Nicole– Take risks & think big! If I had not put this into practice I would have never reached out to PIDC and taken my most recent risk. Always operate with integrity and honesty, what goes around DEFINITELY comes around. And like my good friend Council Woman Blondell Reynolds Brown reminded me recently, “Life is a marathon not a sprint”. Tough to remember when you want everything yesterday!